An indulgent selection of best sellers allow you to show your gratitude in style. Need to say thank you or even perhaps do a little bit of grovelling? 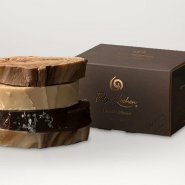 This rich hand-made selection will be greatly appreciated by all who receive it. All is bound to be instantly forgiven! Of course you may add your own personal message too. 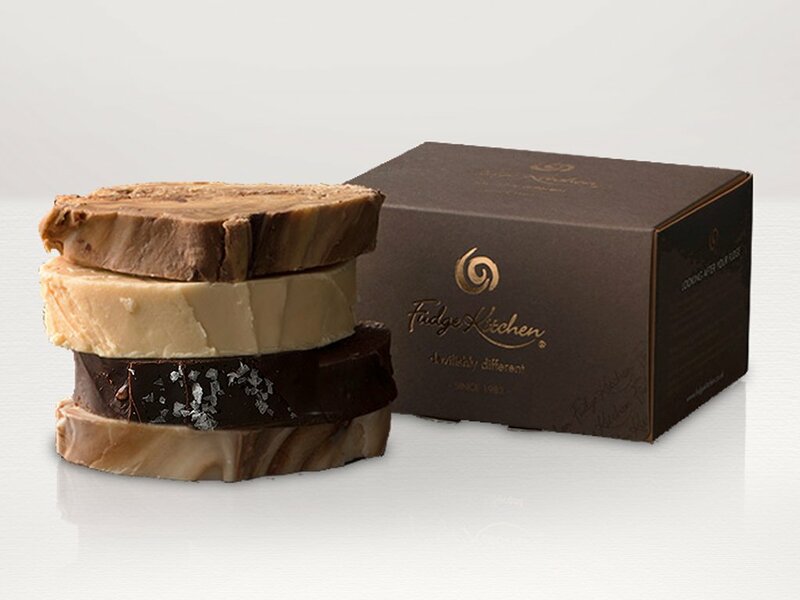 BELGIAN CHOCOCLATE SWIRL: Sugar, CREAM, Water, Dark Chocolate [ (Cocoa Mass, Sugar, Fat- Reduced Cocoa Powder, Emulsifier: SOYA Lecithin, Cocoa Solids 54% Min)] (6%), Glucose Syrup, Inverted Sugar, Dextrose, Vanilla Bean Paste, Salt. DARK CHOCOLATE & SEA SALT: Sugar, Water, SOYA Milk, Glucose Syrup, Inverted Sugar, Dairy Free Chocolate [(Sugar, Cocoa Butter, Cocoa Mass, Rice Syrup, Inulin, Coconut Oil, Rice Flour, Flavourings, Emulsifier SOYA Lecithin)] (5%), Cocoa Powder (5%), Dextrose, Sea Salt (1%). Decorated with Sea Salt. BUTTERSCOTCH: Sugar, CREAM, Water, Glucose Syrup, Inverted Sugar, Dextrose, Vanilla Bean Paste, BUTTER (1%), Salt. Decorated with Dextrose. 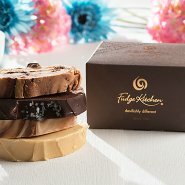 This is the best fudge I have tasted I love it as a treat. 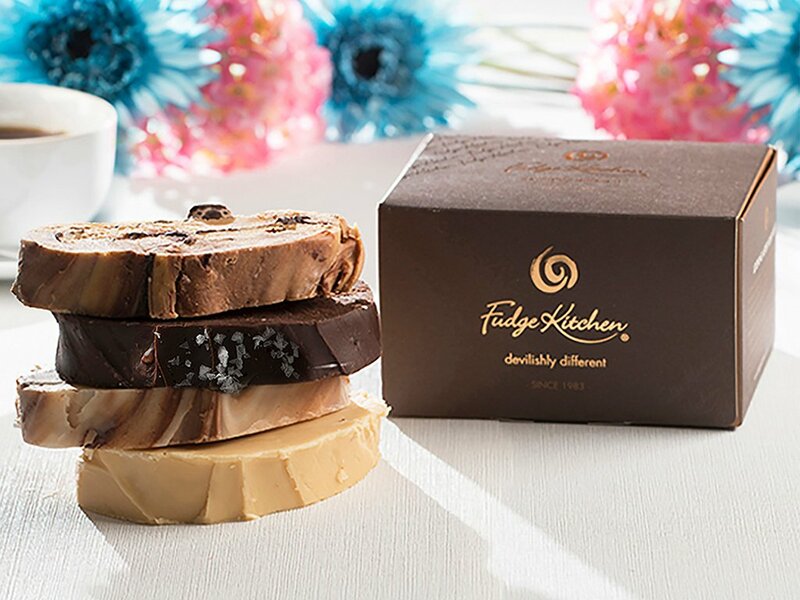 Oh my god this fudge is so good it is expensive but it is most certainly worth it it's just a shame we don't have a shop near to us in Cornwall. Can't wait for the next purchase. Excellent service and fudge! A perfect gift for someone special - the packaging is lovely too!